TheDream.US is the nation’s largest college access and success program for DREAMers. The program raises private funds and awards scholarships to help these students pay for their college education. Due to their immigration status, DREAMers are not eligible to apply for federal financial aid to support a college education. TheDream.US now has 70 partner colleges in 16 states and Washington, D.C. that are committed to serving DREAMers and prepared to offer students the needed support services to help them successfully navigate college life, both on and off campus. Students must be admitted to one of the partner colleges to receive a scholarship. For a complete listing of eligibility requirements and application information, visit TheDream.US. TheDream.US is fiscally sponsored by New Venture Fund, a 501(c)(3) public charity that provides project incubation and fiscal sponsorship services to more than 100 innovative public interest projects. Founded in 1835, Oglethorpe University is Atlanta’s only co-educational small private college, home to 1250 eclectic and engaged students from 33 states and 31 countries. Renowned for its groundbreaking Core program, Oglethorpe’s academically rigorous programs emphasize intellectual curiosity, individual attention, close collaboration among faculty and students, and active learning in relevant field experiences. Oglethorpe joins theory and practice in its A_LAB (Atlanta Laboratory for Learning), an incubator for experiential learning via internships, study abroad, civic engagement, and undergraduate research. Under the leadership of President Lawrence Schall since 2005, Oglethorpe has entered an unprecedented era of innovation and growth, evidenced by increased enrollment and philanthropic giving, and new strategic entrepreneurial partnerships. Since 2013, Oglethorpe has seen the addition of an award-winning campus center; a residential complex with six state-of-the-art classrooms; and the expansion of arts and athletics facilities. Oglethorpe’s partnership venture with LeadAbroad has expanded its global footprint with the development of five global campuses in Barcelona, Paris, Rome, Cape Town and Greece. 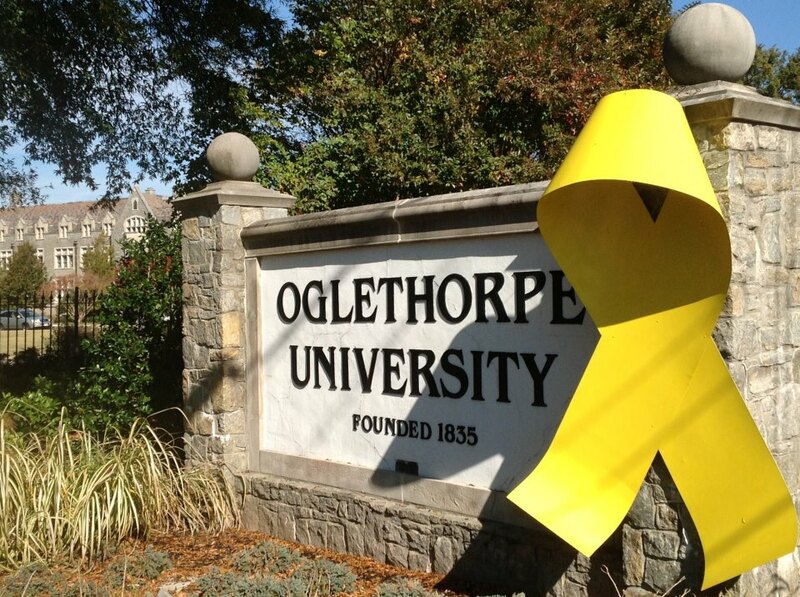 In 2019, Oglethorpe will open the I.W. “Ike” Cousins Center for Science and Innovation and the Q. William Hammack, Jr. School of Business. We honor, support, and educate emerging servant leaders at colleges and universities across the American South.